ENTRIES ARE NOW CLOSED FOR THIS GIVEAWAY. CONGRATULATIONS MEGAN H. FOR WINNING THE ULTIMATE 3-IN-1 CRAFT LAMP. THANK YOU FOR EVERYONE WHO PARTICIPATED! Eye strain is a thing of the past. The OttLite Ultimate 3-in-1 Craft Lamp has been a very valuable addition to my studio here at B.hooked Crochet as well as my cozy crochet corner pictured above. There are a lot of great things about this lamp. I’ll discuss them in detail below in the product review video. First, I’m going to take a few minutes to focus in on the feature that has helped me the most, the magnifying arm. I think we can all agree that lighting can make or break a project or experience. 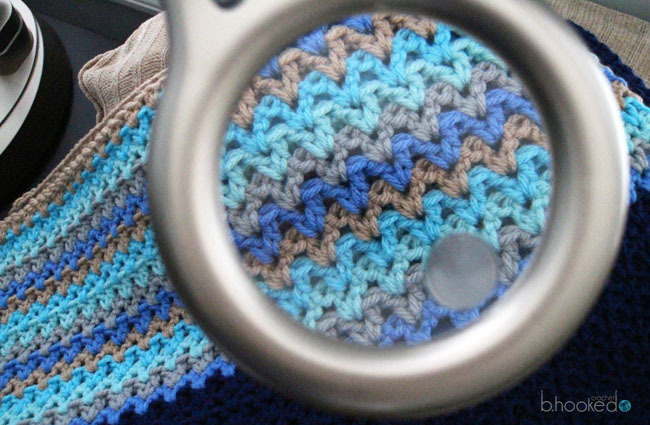 Not being able to see stitches can lead to adding or dropping stitches or even worse, not being physically able to crochet as long as you’d like. I really took this for granted before my OttLite. The LED magnifier arm have completely eliminated my eye strain, especially when working with dark colored yarns. All I need to do is position it just above my hands, turn on the light and I’m good to crochet for hours! Honestly though, it’s one of those things you have to see to believe. Just look how easy it is to see the stitches through the 2x magnifier! I was sold on this feature alone, but it gets even better! Have a quick look at my video. We’ll cover everything from assembly, to pros and cons, everything you need to know when considering if this product is a good fit for you. They don’t call it the “Ultimate 3-in-1” for nothing. This lamp can transform from floor lamp, to table lamp, to desk lamp in minutes. When I first got my lamp, I used it primarily as a floor lamp. This worked really well until I added an end table to my cozy crochet corner to arrange my various skeins and WIP’s. It’s a good thing this lamp is versatile! I removed the floor lamp extension and it instantly worked for my space once again. Now it sits as you see pictured above! 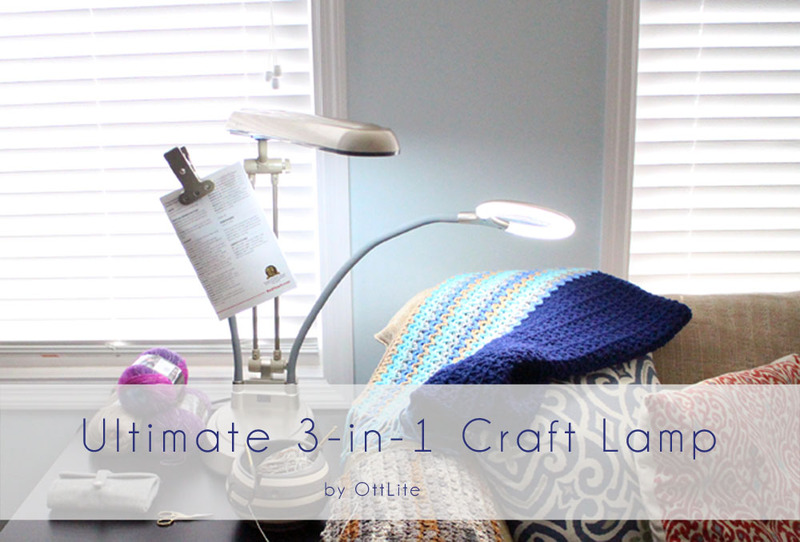 If you’ve decided that the OttLite Ultimate 3-in-1 lamp is right for you and your crafting space, there’s only one place to purchase it from…Joann Fabrics and Crafts. You can pick up your OttLite in select Joann locations or order it online. Don’t forget your Joann’s coupons! At $299.99 this is a big decision. 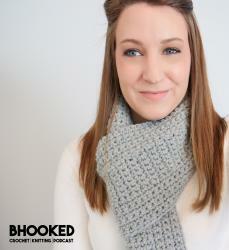 As always, I’ll be here to provide you with an unbiased opinion from one crocheter to another. Please don’t hesitate to drop me an email or comment below with your questions! OttLite Ultimate 3-in-1 Craft Lamp Giveaway! Open to residents of the USA and Canada (excluding Quebec). You must provide a valid email to enter. One entry per person, per email. Additional entries can be earned by referring a friend via social media. After you’ve entered, copy the link provided on the entry form and share on your social networks. You get an extra entry for each friend who also signs up! The Giveaway will run from May 6, 2016 to May 13, 2016. One winner will be selected at random from the pool of entries on May 14, 2016 to win one OttLite Ultimate 3-in-1 Craft Lamp. The winner will be contacted via email and must reply with their shipping information within 48 hours of receiving it. If the winner does not respond within the given time, a new winner will be randomly selected.